Can't find a PRODUCT or delivery DESTINATION : Don't Worry -- Just tell Let us know your requirement we shall try our best to arrange it for you. Are you frequently getting confused what to buy on Valentine’s Day for your beloved? Do not worry mysoregiftsflowers is at your help. 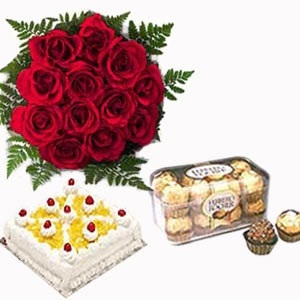 We are a leading online gift store with good 8 years of existence; our store allows you to send roses for Valentine’s Day to Mysore on that special occasion. Valentine’s Day is one of the most special days of the year, couples in love want to impress their sweetheart with unique online rose bouquet delivery to the doorsteps of the recipient. When you are interested to make someone happy things fall in place. 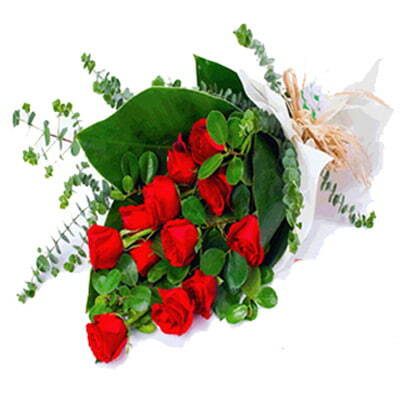 Sending Valentine’s Day roses to Mysore is best done through our online flower delivery services. 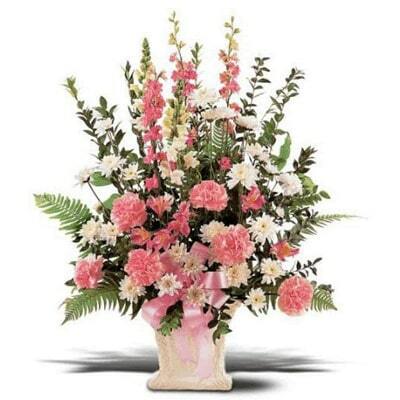 We are an online gift store meant for all types of floral arrangements especially roses arrangement. 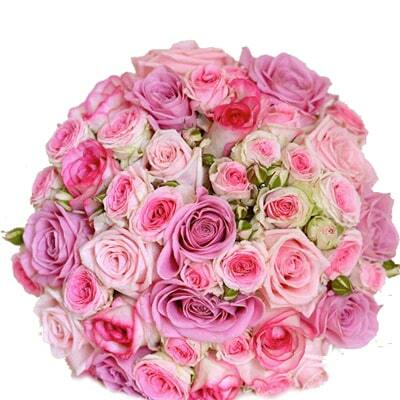 Picking the right rose bunch, bouquet or basket arrangement is easy on our e-commerce site. E-commerce in India is already a big market, but still finding the perfect gift for someone you love is a difficult task. Our gift gallery hosts wide array of flower arrangements available at best prices and suitable for all occasions. A bunch of roses has the power to melt your beloved’s heart, every single bunch of roses made from our professional florists locally available are especially handpicked for you to make special occasion even special. 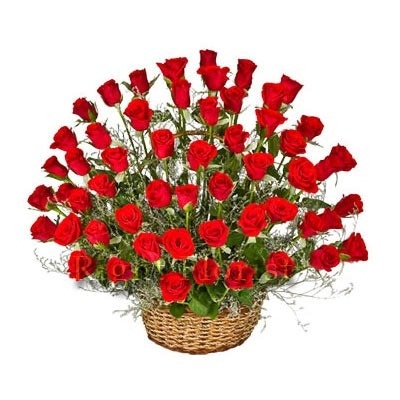 Let your woman/man know how deep is your love, with Valentine’s Day roses no matter from where you send we deliver it to the right address in Mysore and all over India. 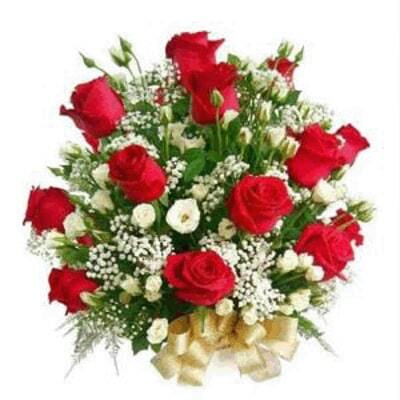 Buy and send online rose bouquet and get it delivered on the same day. Internet has made it easy for everyone to come closer during important moments of life. 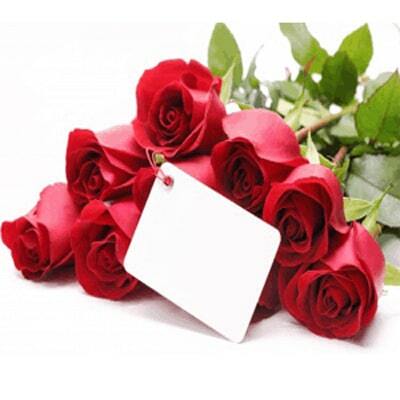 Make your beloved feel special through us and send Valentine’s Day roses to Mysore with easy online payment solutions. 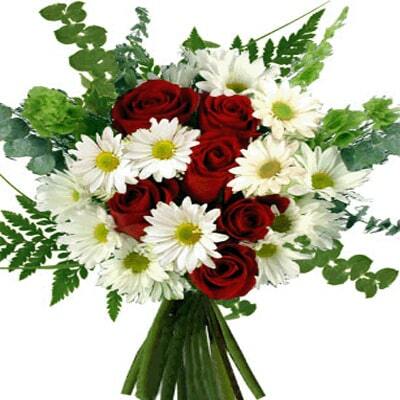 Mysoregiftsflowers is backed with professional team with courteous customer care staff and other departments. Gifting is an art and we are known for creating great memories, with this special gesture of delighting every one you love from the bottom of your heart. 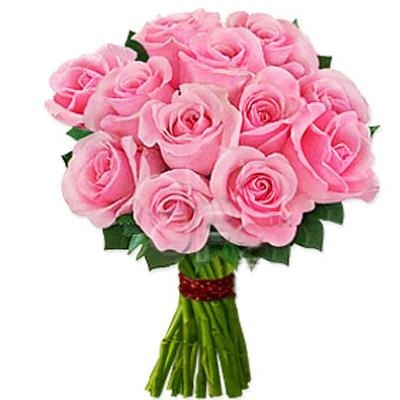 Log on to our e-commerce site to get unique collection of rose bouquet you were looking, that expresses your feelings clearly and loudly to someone special on Valentine’s Day. © 2014 Mysoregiftsflowers All Rights Reserved. 12 red roses is a classic expression of affection! Red roses is the perfect way of expressing everlasting love. 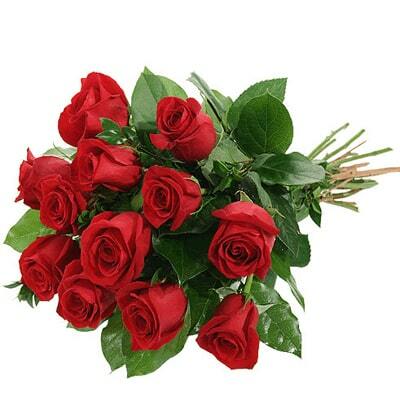 Gift your special someone these beautiful roses, to express your love on Valentine's Day. A beautiful bunch of 15 red roses with fillers, is an ultimate way to express your love to your loved ones on valntine's Day and their special days of life. 12 exotic flowers made in a beautiful bouquet, will be an ideal gift to your valentine on Valentine's Day and other special occasion. Red color is a symbol of love. 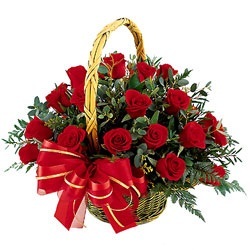 Surprise your beloved on this Valentine's Day with 12 red roses in a basket. Special people need special gifts. 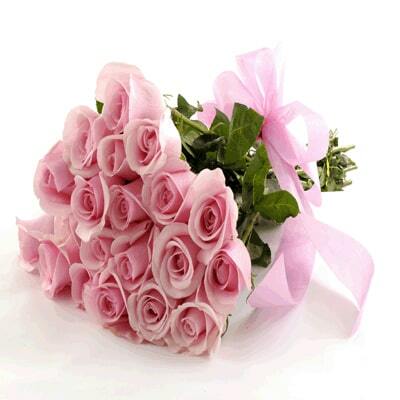 Gift your loved ones 24 Pink Rose Bouquet with double color satin ribbon on Valentine's Day. 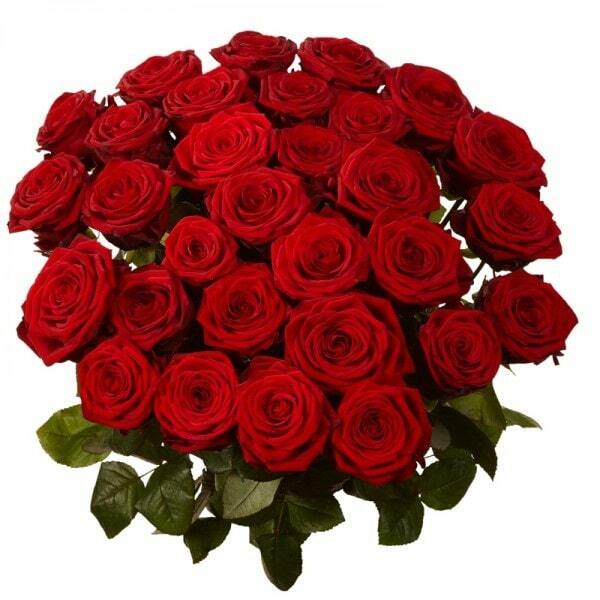 Delight your Valentine with beautiful bunch of 25 dutch red roses. 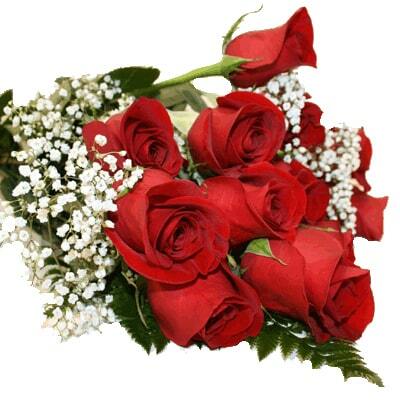 Make special events memorable with beautiful roses on this Valentine's Day. 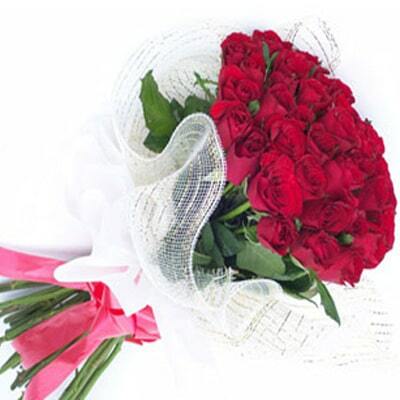 Amaze your loved ones with 30 red roses, tied in a bunch with red ribbon with fillers. It will be a perfect gift on this Valentine's Day and other special moments of life. Want to bring a smile on your loved ones face? Orchids and lovely pink carnation flowers is the solution. Gift this pretty arrangement to bring a smile, on your loved ones face on this Valentine's Day. Valentine's Day and other important events, can be made memorable with gifts. 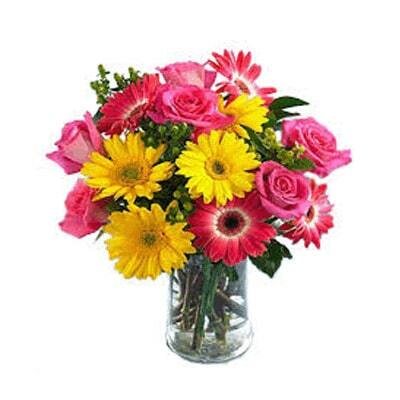 Send glass vase arrangement of gerberas and receive a smile from your loved ones on Valentine's Day. 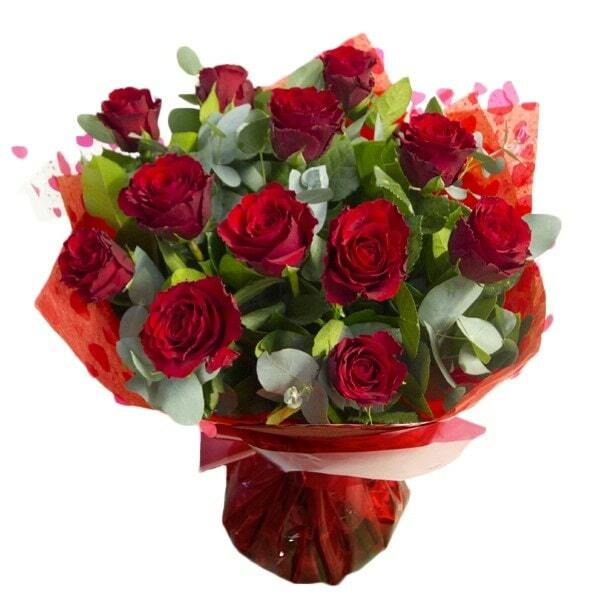 A gorgeous Bunch of 20 classic Red Roses, will make your special someone smile on this Valentine's Day. 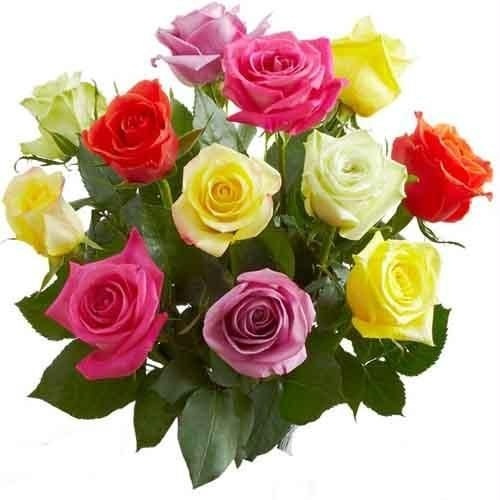 Gift your loved ones a bunch of fresh and beautiful roses. 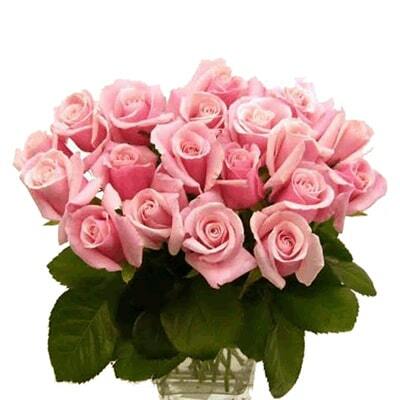 Express your true emotions with 30 pretty pink roses. 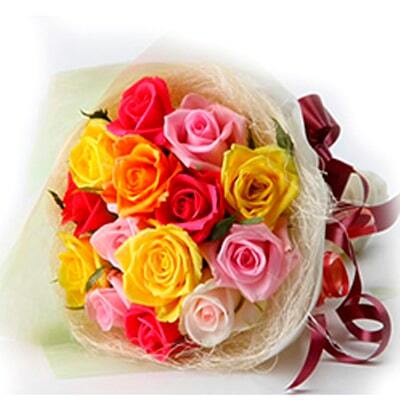 Gift this gorgeous bunch of smiling roses, to make your loved ones special day a memorable one on Valentine's Day. A beautiful bunch of 10 red roses with fillers, is an ultimate way to express your love to your loved ones on their Valentine's Day of life. 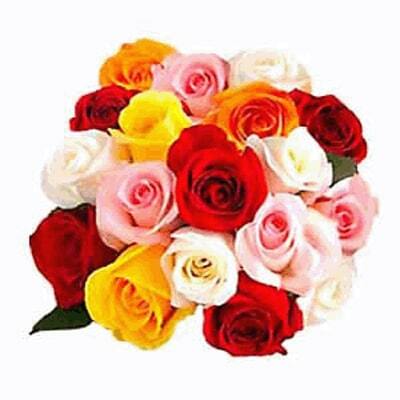 Delight your valentine with beautiful 12 mixed roses. 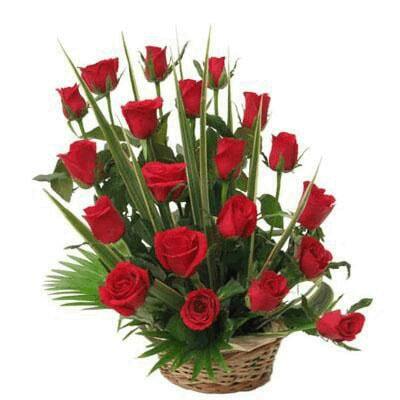 Make special events memorable with beautiful roses on this Valentine Day. 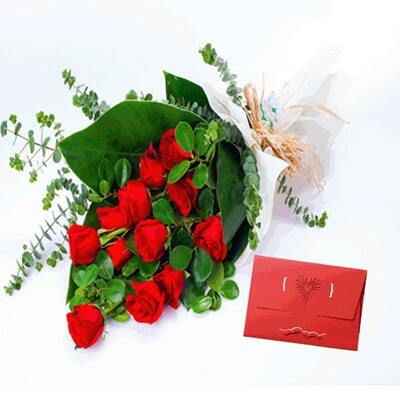 A bunch of 60 deep red roses tied with red ribbon & valentine card will surely make your sweetheart smile. It is a perfect gift on Valentine's day. Send this bundle of joy containing Bunch of 20 Red Roses & Valentine Card and love to the most loved person on this Valentine's Day. 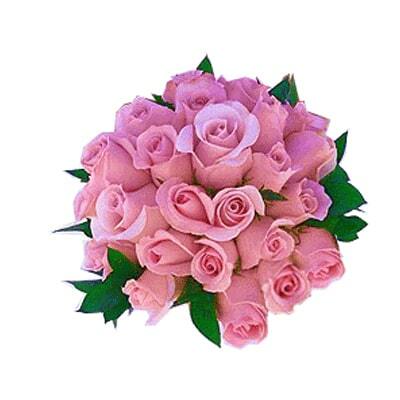 Dazzle your sweetheart on this Valentine's Day with a Bunch of 12 Pink Roses. It is the perfect gift on Valentine's day to your beloved. Red color is a symbol of love. 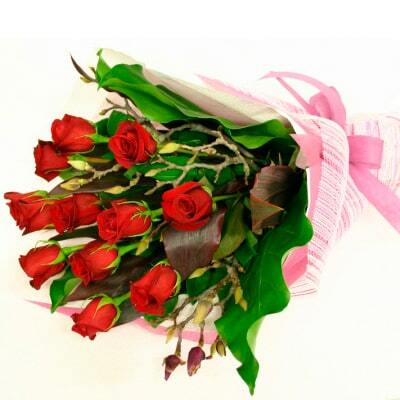 Surprise your beloved one with Bunch of 30 Red Roses on this Valentine's Day. 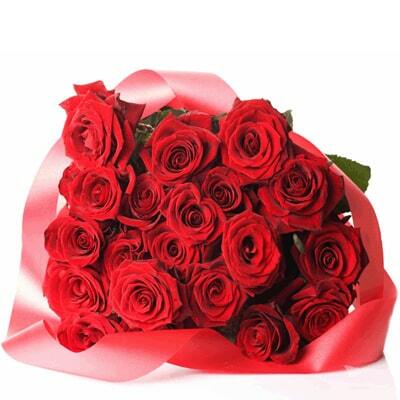 Celebrate love and affection on this Valentine's Day, towards your loved ones with lovely Bunch of 40 red roses set. Valentine's Day and other special occasions are made special with a bunch of 30 Mixed Shades of Pink Roses wrapped in pink paper with pink ribbon. It is a special feeling to see your loved ones smile. 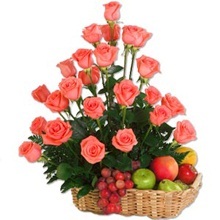 Gift your sweetheart with 2 Kg fresh Fruit Basket with pretty 12 Pink Roses Bunch, Valentine's day and other special events of life. 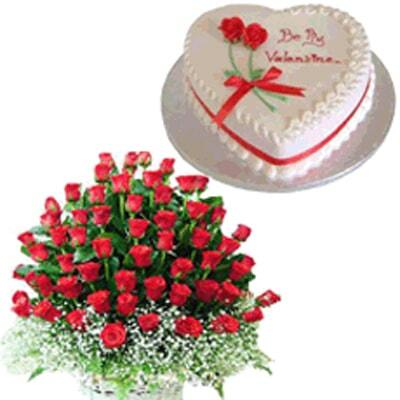 Fascinate your loved ones with bunch of long stemmed 12 red roses, 1 kg mouthwatering heart shaped cake and bring a smile on their face on this Valentine's Day. Valentine's Day is the most sweetest moment in life. 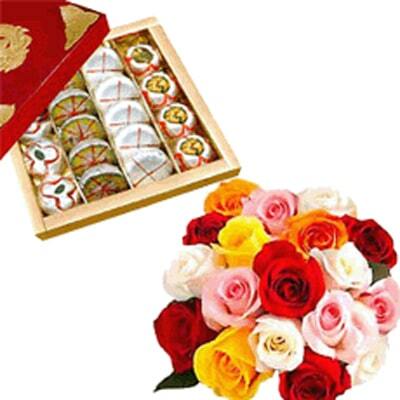 Gift this exquisite assortment of mixed Roses (12) bunch along with soft and delicious assorted mithai (500gms). It is the sweetest gesture of love and affection. Valentine's Day is special moment in life. Gift this perfect hamper having 10 Dutch Red Roses Bouquet with 1/2 kg delicious pineapple Cake and 16pcs ferrero rocher chocolates.